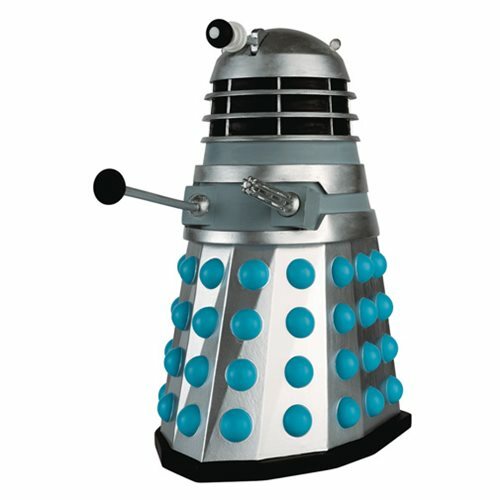 One of the Doctor's greatest enemies! This 9-inch tall Dalek comes with an informative magazine. Based on the British science-fiction television program Doctor Who. Fans of the British science-fiction television program Doctor Who will immediately recognize this merciless, pitiless cyborg alien. This giant-sized version of one of the Doctor's greatest enemies measures almost 9-inches tall and comes with a magazine detailing the appearance and impact of the Daleks. The Doctor Who Mega Dalek Dead Planet Special #2 belongs in your collection! Ages 15 and up.